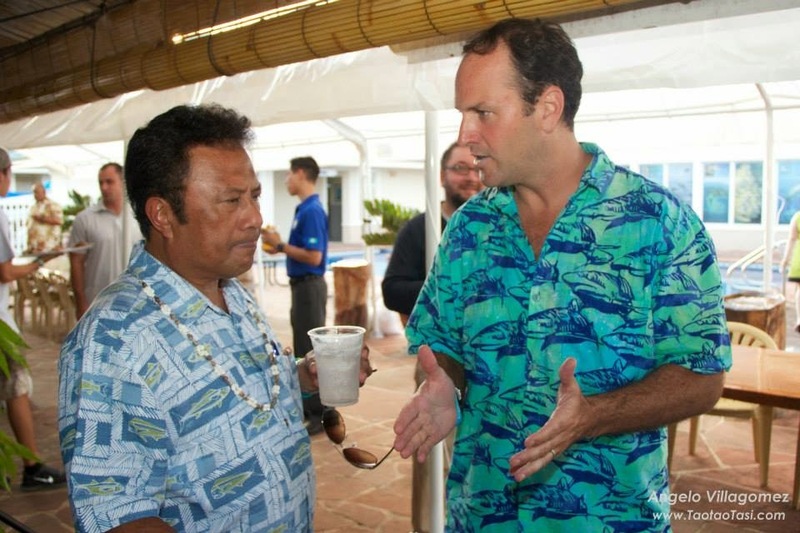 On 21 January the President of Palau’s office participated in the launch of Project Eyes on the Seas, a technology system that will help monitor, detect, and respond to suspected illegal fishing activity across the world. This system was developed by Satellite Applications Catapult, a British company established through a U.K. government initiative and The Pew Charitable Trusts, a U.S. non-governmental organization that President Tommy Remengesau has asked to assist with an enforcement plan for the Palau National Marine Sanctuary (PNMS). Project Eyes on the Seas and its marine sanctuary Virtual Watch Room will be available to assist with protection of the PNMS. The Palau Marine Law Enforcement is putting illegal fishing vessels on notice. “Palau is working with our security partners in the U.S., Australia and Japan as well as organizations like Pew to develop a surveillance and enforcement system that ensures bad actors cannot run or hide in Palau’s EEZ (Exclusive Economic Zone).” The President said. “I certainly commend and thank Pew and its development partners for making this pioneering effort possible for Palau. This is an outstanding first step in Palau’s efforts to fully monitor and protect its EEZ. In less than 24 hours after launching Project Eyes on the Seas, Palau’s Marine Law Enforcement Monitoring team coordinated with the H.I. Remeliik for the successful apprehension of a suspected Illegal fishing vessel they have been monitoring since December 8, 2014”. President Remengesau said. “Pew and its partners have helped to deliver on their commitment to making the PNMS a reality. If the PNMS legislation was already in effect, the effort to protect and enforce Palau's waters would be greatly enhanced and with the proper fines in place, a significant deterrent would be set. The Republic of Palau must now deliver with the PNMS legislation pending in congress. I would also like to add that if the PNMS had been passed and in place already, we would be looking at a fine for this vessel of $500,000 to 1 million dollars should it be convicted of illegal fishing.” President Remengesau added. The proposed Palau National Marine Sanctuary, which –once finalized –will ban all foreign fishing in Palau’s EEZ and create a 500,000 square kilometer fully protected marine reserve. Legislation to formally designate the PNMS is pending in the Palau Congress and has a number of provisions to enhance prosecution of illegal fishing including increasing the maximum fine from $50,000 to $1 million USD and confiscation of fishing equipment. In addition, it provides for $1 million punitive fines to “replace” the lost resource and allow for confiscation of the vessel. In early 2015 - in partnership with Pew and Scripps Institution of Oceanography - Palau will host a Marine Control, Surveillance and Enforcement workshop to develop a comprehensive plan to protect Palau’s EEZ from illegal fishing and other illicit activities. The workshop will include issue experts from Palau’s partner nations as well as non-governmental organizations.